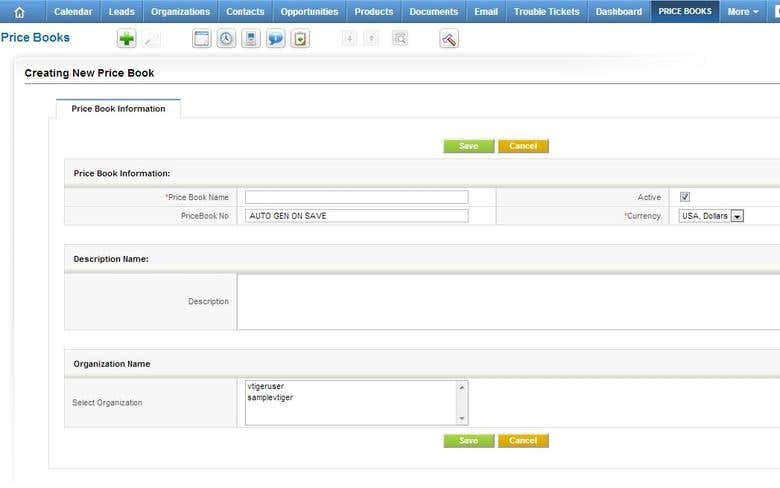 vTiger CRM, allows client to manage the sales process and the inventory of their products and services which they are offering to their customers. User has option to view menu items available using the online menu. OTS is a leading Information Technology Consulting, Services & Solutions providers headquartered out of New York City (NYC). OTS offers unmatched quality to improve efficiencies and help grow the businesses of our clients across the globe. With deep domain knowledge and an expert talent pool, OTS delivers value to its customers through innovation, knowledge and expertise. OTS aligns its offerings with award winning world-class processes and people imparted with our core values, OTS Solutions specializes in offering Software Product Development, Startup Advisory, Mobility, CRM, Cloud Enablement, Business & Data Analytics, Enterprise Content Management, Intranet Portals, Enterprise E-Commerce, eLearning & Training, Custom Software Applications Development, QA & Testing solutions to clients around the globe.